Alynda Lee Segarra, records under the name Hurray for the Riff Raff, and hails from the Bronx although she has been on the road since age 17. Along the way, she discovered roots and folk music, learned a few instruments, settled in New Orleans and began to share herself through her music. Her latest album “The Navigator” is a homecoming of sorts with many Latin influences among the stories and songs about a young woman of color trying to understand the world around her. Segarra dedicated her song “Rican Beach” to protesters currently standing ground over safe water at Standing Rock, North Dakota, and in Peñuelas, Puerto Rico, where coal ash waste is contaminating the drinking supply. She does not shy away from deep subject matter but delivers her thoughts wrapped in wonderful, uplifting anthems. She just may be the next big thing in American folk music. Two recording acts I love, Dirty Projectors and Ryan Adams, have turned their new albums into laments of lost love and pleas for understanding as they each comes to terms with breakups. Dirty Projectors is the project of David Longstreth who has been using his instruments, collaborators, and the recording studio itself to create some very interesting sounds over the years. 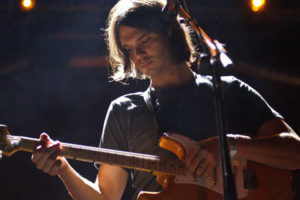 His latest is simply called “Dirty Projectors” as he has stripped off all his pretense of being a band and has basically made a solo album about his break-up with his previous musical collaborator and love partner, Amber Coffman. Ryan Adams’ new album “Prisoner” is in the same vein – but don’t let the morose subject matter throw you off – both of these albums are fun listens and provide glimmers of hope through the haze of regret. Other music that is just out or will be soon includes the new albums from Real Estate, the Shins, Tennis, Fleet Foxes, Cold War Kids, Feist and the New Pornographers. My first listens to these artists’ new material makes me happy to have them fill the spring air around me with song – I hope you will enjoy them too!